A recent Nielson study concluded PR is 90 percent more effective than advertising and some 80 percent of business decision-makers prefer learning about companies through articles instead of advertisements. As such, Learning is the New Marketing. PR works and its role – to establish and maintain relationships with your target audience via the media and other opinion leaders – is important. It’s especially important to the successful launch of a new product (or service), enabling you to build awareness in targeted markets, build your brand, generate quality leads and drive revenue. So where to begin on a PR campaign to successfully launch your new product (or service)? 1) Be ready: If your new product is not the best version of itself, no reporter will cover you, and you can experience backlash and negative press. Make sure you are completely ready before employing any PR strategies. What is our identity, what are our values and company culture? What are the three things about our business that matter? What was our journey in establishing our company and this new product? How are we different from our competitors? What was the discovery process like to build this product? What are the three things that are different about our product and what are our proof points? What are the two or three problems our customers have today that we will solve or improve? What social issue does our product address? Who are the important members of our team and what do they bring to the table? Write two paragraphs that summarize these answers. The end result is a story that is worthy of your customers’ attention, and that will help you communicate consistently to the world. 3) Create a media kit: It should include your press release, a company history, pull quotes to choose from, images, video, and customer case studies. Also, think of adding FAQs, e.g., a description of the new product, when the company was founded, who the backers are and so on. Click here for an online example. 4) Use social media to build your media relationships: To build your media contacts, follow relevant journalists, reporters, editors, bloggers, and influencers on Twitter, Facebook, LinkedIn, Instagram, Google Alerts, and HARO (Help a Reporter Out). Provide valuable interactions with your targets, re-tweeting or sharing their content, answering their questions, or providing helpful information. 5) Implement Agile media campaigns: Tell your product launch story in a media release sent over a service if budget allows. Post the media release in part or in its entirety to your website’s news page and blog, Facebook page, LinkedIn and other owned social media channels. Reach out to partners and ask for their help in spreading the story. Having cultivated a list of writers, editors, bloggers and influencers, send each one a “pitch letter” specifically tailored to their individual interests. Make someone available for an interview; offer contributed content (i.e., you write an article). Have a link to relevant content – a case study, white paper, infographic, video or article on your website with a form to collect resulting inbound inquiries and leads. Avoid email blasts to your media list – they don’t work. 6) Your CEO should be a thought leader: Find industry trade publications or blogs that cover your turf, and reach out to them about your CEO contributing guest articles or interviews. Link back to your website putting him or her in front of a valuable customer or media contact. 7) Respond to the media: If you get a call or email from a reporter, ask what they cover, what their story is about and what their angle is. Find out their deadline. It’s okay to ask for 10 minutes to think about your answers and then get back to them. 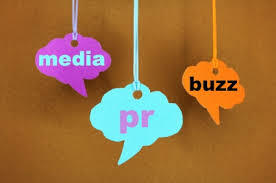 9) Consider hiring a good PR firm: They will have pre-existing media relationships and will help you create your brand narrative, effectively communicate your story to the right people, create thought leadership opportunities for your CEO and establish an engaging social media program. To sum up, remember to craft a compelling story and get out there at every opportunity to tell it. Do the work, be “customer focused” in serving the needs of the journalist and his/her readers and the coverage will come. About the author: Howard Oliver is the founder and CEO of What If What Next (WIWN). WIWN offers PR and Marketing services for technology companies. Howard is a technology visionary, entrepreneur, writer, content builder, thought leader, PR maven, and business development executive. Clients recognize him as a results driven, highly creative and disciplined thinker. Howard holds an MBA from Wilfrid Laurier University and a Bachelor of Commerce degree from McGill University. He is a spiritual seeker, avid kayaker, and collector of books. Reach Howard at 416-568-5254, info@whatifwhatnext.com or www.whatifwhatnext.com.